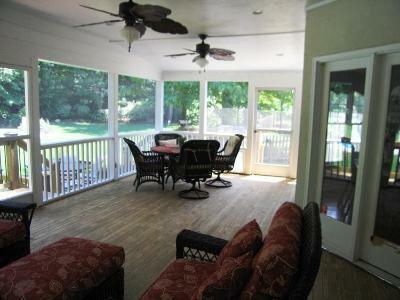 Is every screen porch the same? And that’s precisely what makes a screened-in porch a favorite addition among St. Louis homeowners. They’re structures that offer unique choices, from inside-to-out and from top-to-bottom, for complete customization. Any outdoor space may be constructed with either sophistication or simplicity in mind depending on the building materials selected and the style of each component including walls, floors and ceiling. Today, however, let’s focus solely on the porch ceiling options that can be offered by an experienced contractor like Archadeck. First and foremost, porch ceilings matter because they are a distinct design element that make an important aesthetic impact. 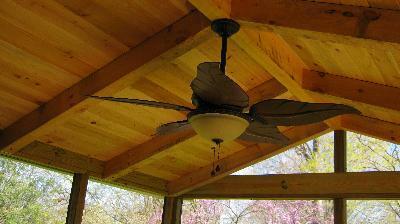 They offer the perfect spot to add your personal flavor for a porch with loads of flair. More specifically, personalized touches can be accomplished with architectural details, building materials and accessories. For beginners, think about the ceiling elevation. 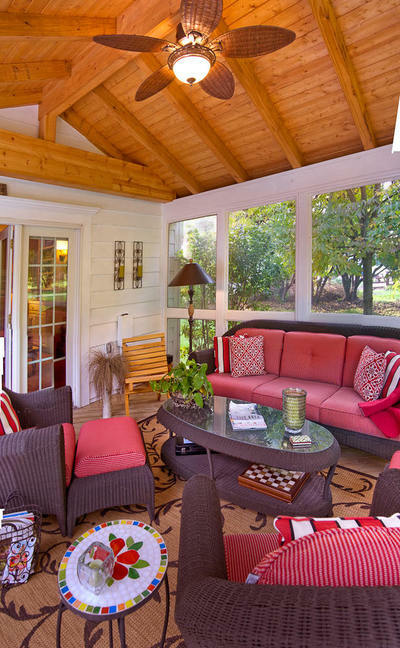 Ask yourself whether you prefer the look of a screened porch with a vaulted ceiling or a flat ceiling? In general terms, a flat ceiling is eight or nine feet tall and provides the similar ‘feel’ of your home’s interior rooms. Flat ceilings with enclosed rafters will appear more formal and intimate especially if constructed with white bead board; yet even a flat ceiling can give off a farmhouse, rustic-vibe if it uses wide boards with a wood finish. As an alternative to flat ceilings, cathedral or vaulted porch ceilings will make a room look much larger than it actually is. A cathedral ceiling is best known for having equal sloping sides that meet in the middle. On the other hand, a vaulted ceiling also slopes but can be curved or arched. Style-wise, the visible rafters often associated with both cathedral and vaulted ceilings set-the-stage for an ‘earthy look’ that folks see in a typical mountain lodge setting. And maybe best of all, open rafters not only look great, but are a budget-friendly ceiling design. Many people use the same lumber for the topside as is used for the rest of the screen porch project. Most importantly, however, the screen porch ceiling will absolutely require outdoor friendly materials because, after all, it is an outdoor room and needs to withstand the weather. 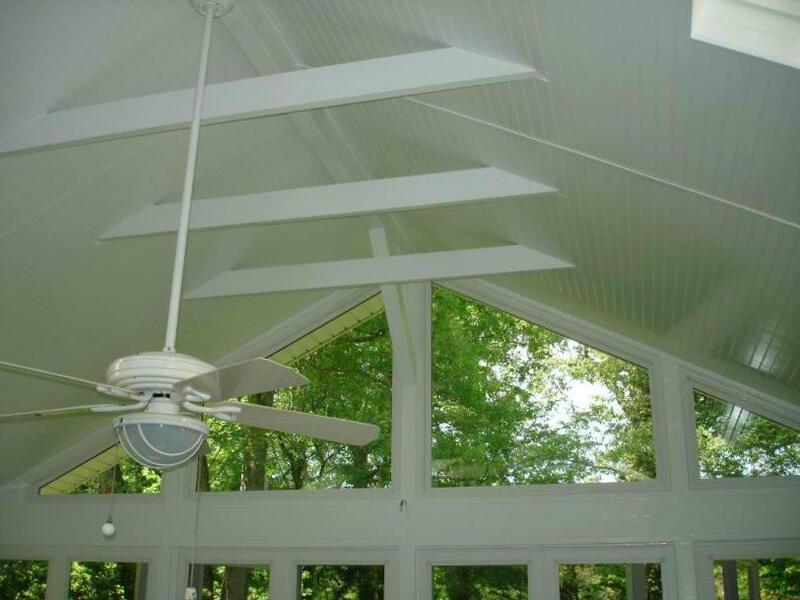 Today, there are a wide variety of material choices for any screened porch ceiling including pine, cedar, hardwood, beadboard, plywood, tongue and groove and vinyl/PVC. Each product will most certainly seem to have advantages (or disadvantages) such as fashion-sense, price-point, durability, availability and installation requirements. With the large variety of material choices for a porch ceiling, it’s best to discuss specific options with your contractor. 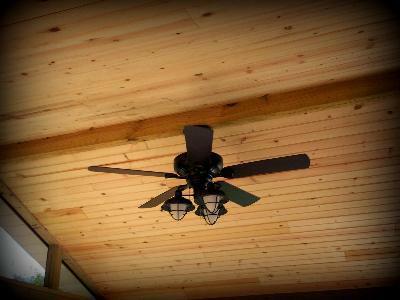 And finally, it’s those ‘little extras’ that really ‘top off’ a screened porch ceiling. Pun intended! 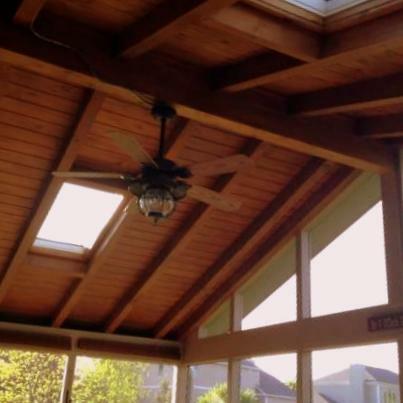 With vaulted and cathedral ceilings the center beam creates an automatic focal point for the outdoor room and is a logical place to install a fan (or two) with lights. In addition to ceiling fans and lighting, customers often request electrical access for mounted electronics (including speakers and televisions) and maybe even a skylight. 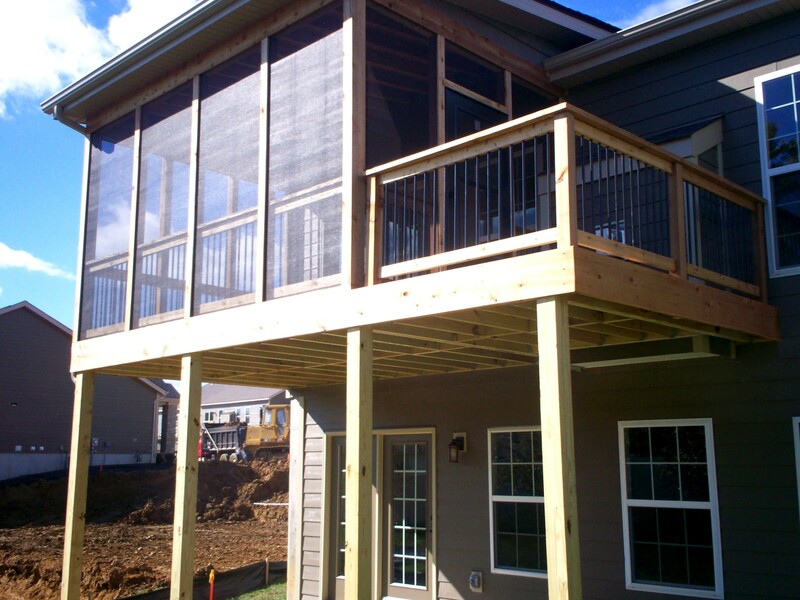 So if you’re thinking about adding a screen porch to your home and you live in the St. Louis Missouri area, including St. Charles, St. Charles County and parts of Illinois, please consider Archadeck. We’re an experienced, licensed locally-owned builder specializing in outdoor spaces and we’re located in St. Louis West County. More importantly though, Archadeck in St. Louis is a part of the Archadeck Outdoor Living brand, nationwide. Call us anytime, 636.227.0800 and be sure to visit our local website, Archadeck of West County and St. Charles County at west-county.archadeck.com to see our completed projects including porch enclosures, decks, pergolas, gazebos and more. If you live elsewhere, visit archadeck.com to find locations throughout the country.